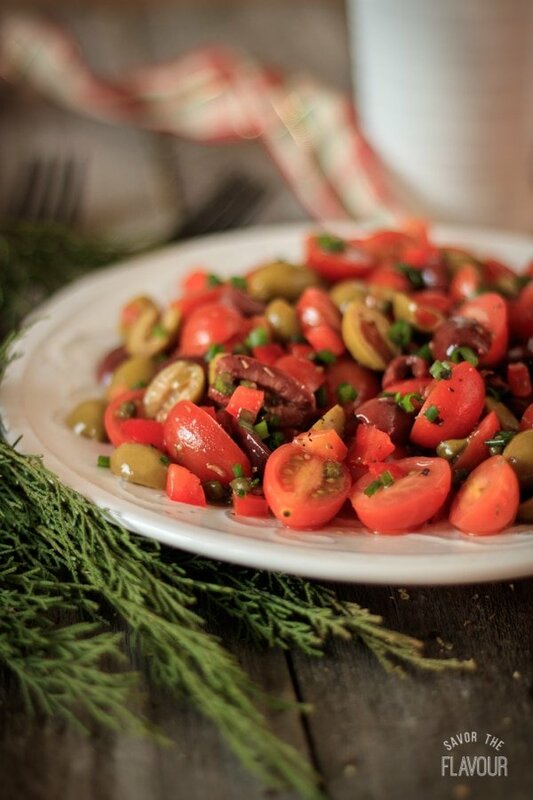 Tomato olive salad has two kinds of olives, capers, green onion, red pepper tossed with a tasty homemade vinaigrette. 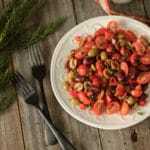 Many years ago, this tomato olive salad made its first appearance at our family dinner table on Christmas Day. It has been tweaked to include capers, fresh red pepper, Kalamata olives, and sherry vinegar. This recipe is an easy side dish to serve for company because you can make it ahead and let it chill in the fridge. 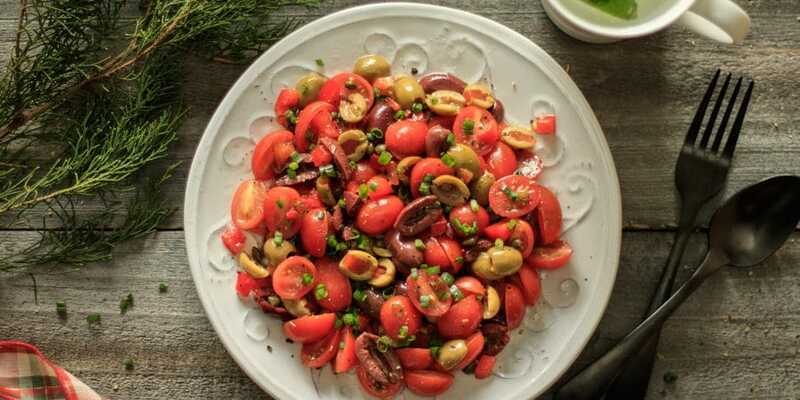 The tomatoes, red pepper, and green onions give this salad a fresh taste, and the olives and capers balance it out with saltiness. Dress up this salad by serving it on a pretty plate and sprinkling it with chopped green onion. Rinse and cut in half the tomatoes, green olives, and Kalamata olives. Rinse and finely chop the green onion and red pepper. 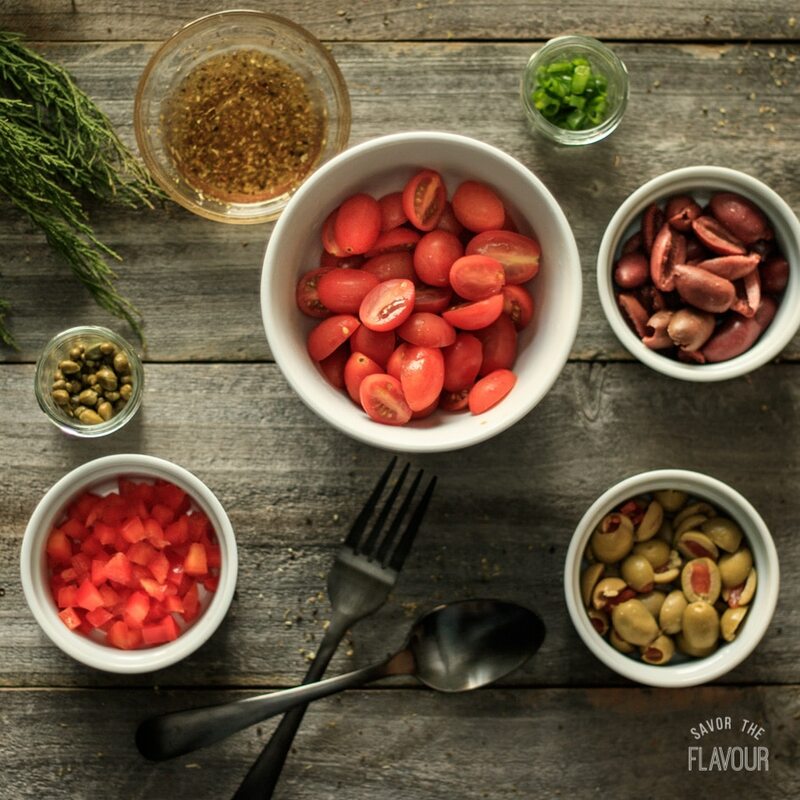 Stir together the tomatoes, olives, onion, pepper, and capers until well mixed. In a small bowl, mix together the olive oil, vinegar, sugar, oregano, salt, and pepper to make the vinaigrette. Pour it over the salad and toss gently.